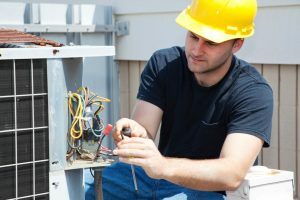 Air Conditioning Maintenance | Comfort First Heating and Cooling, Inc.
We’re finally getting up into the high 70’s on a semi-regular basis, which means that summer is just around the corner. Before you go cranking your air conditioner all the way up, though, you should have a look below at some of the tips we’ve outlined for keeping your system as efficient as possible. Follow our guidelines, and you won’t have to worry about your system failing you when you need it the most. No one wants to be without a reliable air conditioner in the middle of summer, after all.